We boast ten designated rehearsal and practice rooms, including two halls suitable for larger ensembles and public events. 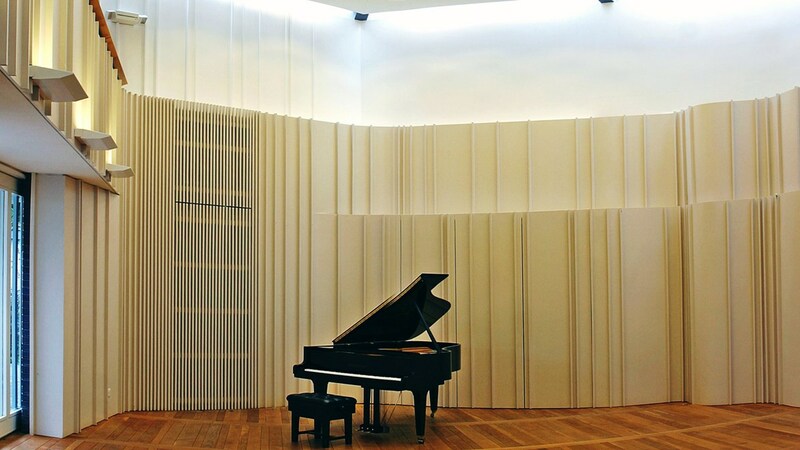 Each rehearsal space includes at least one piano. Our piano stock includes well maintained Steinway, Yamaha, Grotrian-Steinweg and Bechstein baby grand pianos and a full size Welmar grand. We also possess a fine Goble harpsichord modelled on a 1727 Christian Zell original as well as virginals, spinets and a clavichord. Our keyboard stock is completed by a restored Broadwood square piano dating from the 1820s. We also possess a state of the art hi-fi system, projectors and PA facilities. We can accommodate a range of private practice bookings or larger pubic events. Please fill in and send the enquiry form on this page or call us on 01462 459446 to discuss your requirements.